More money is bet on football than any other sport, so it stands to reason that the top online bookmakers pull out all the stops to give punters what they want. Here’s our list of the UK’s best football betting sites and what makes them so great! What are the best football betting sites in the UK? Admittedly, there are several good football betting sites available online, and you have the freedom of choice to pick whichever one takes your fancy. But our goal is to find the best of the bunch so you don’t have to waste time looking elsewhere. In order to achieve this, we conducted extensive market research aimed at answering the most important question: what do the UK betting public want from their top football betting sites? Understandably, online security, safe banking and hassle-free payouts all featured highly, so our list only contains bookmakers which hold a valid United Kingdom Gambling Commission licence. This commission is the most respected in the world and it puts player protection at the fore, so online footy bettors know that each of the criteria above is guaranteed with the bookies listed. Punters also want “fair” bonuses and promotions. This means that the wagering requirements make it possible to profit from the offer rather than some unrealistic conditions which are unlikely to be achieved. Choice of leagues and market depth is also very important, as bettors often find more exciting, better value bets outside of the top leagues. Then, of course, the odds a bookmaker offers are crucial. Even the smallest fractions add up to a lot of cash over a season’s betting. Knowing what the bettor (customer) wants, we were able to filter down the bookies to provide you with a choice of the UK’s best football betting sites. New customers joining any of the football betting sites on this page are treated to a nice welcome bonus. Choosing the best one in this category wasn’t easy as we spotted potential value in them all. William Hill’s ‘Bet £10 Get £30′ is a very decent offer. For starters, it’s not an insurance bet so even if your first bet wins, you still get the £30 in free bets. There are minimum odds requirements (1/2 or 1.50 in decimal) and a few other minor terms, but for savvy punters, there’s a good chance to turn a profit here. The same can be said for Betfair’s ‘Get up to £100 in free bets’ welcome bonus but you need to place 5 x £10 bets to get the first £20 worth of free bets – still smart bettors will see the value. However, we’ve chosen Matchbook’s welcome offer which is 0% Commission on all bets for the rest of the year. This simply cannot be beaten as it’s a no-lose deal for the punter. How it works is Matchbook is actually a sports betting exchange. Bettors using this site are placing bets against one another. In essence, you are your own bookmaker. You can ‘back’ a selection which is you saying ‘it will be’, or you can ‘lay’ a selection – so you’re saying ‘it won’t be’. Sounds confusing? It’s honesty not. Have a look at the image below taken from Matchbook’s betting exchange. The blue blocks are the current odds which you can ‘back’. So, you can back Egypt at 8.20 (decimal). This is you betting Egypt will win. Alternatively, you can back Uruguay to win, or back the draw – you betting the game will end in a draw. The opposite bets are ‘lay’ – this is the role of the traditional bookmaker. So, you can ‘lay’ Egypt which is you betting Egypt will not win. Because the traditional bookmaker has been removed, you’ll often find better odds on a betting exchange – which means more money when you win. However, Matchbook needs to make money so it charges a small commission fee on all winning bets. This fee is 1.5% – yet, with this welcome offer, you don’t pay that fee for the rest of the year. Meaning if you win £10,000 between now and then, you don’t have to pay the £150 commission you normally would. All online bookmakers provide good coverage of the Premier League, La Liga, Serie A and the other top European league, and in all fairness there is not much to choose between the top soccer betting websites when comparing matches from these divisions. Yet, the odds are not very generous when the big teams are playing weaker opposition, so many punters look outside of these leagues for bets which hold greater value. This is where William Hill excels and why we’ve picked it as the best football betting site. Not only does William offer an absurd amount of markets for big fixtures, for example it has 243 different betting opportunities available for the World Cup clash between Spain and Portugal, but it also covers an immense amount of leagues from around the globe. Whatever country you desire, be it Finland, Indonesia, Argentina or China, William Hill is on the money. But, it’s also the market depth it offers. At the time of writing, there was an NPL Victoria match between Melbourne Knights and Northcote which offered a staggering 153 different bets you could place on this match. It’s this amazing coverage and depth what makes William Hill our number 1. Once again, William Hill scores with what we think is the best football betting app. It has to be said that the older version was rather clunky but the recent updates have fixed those issues, and now William Hill customers has access to a stellar mobile football betting experience. Out of the 5 top bookmakers on our list, William Hill, Ladbrokes and GentingBet are traditional bookies (like you find on the high street). Matchbook is a betting exchange and Betfair operates both of the aforementioned. The top image is from the Betfair betting exchange and the bottom image is from Ladbrokes. All three ‘back’ markets offer a better price than Ladbrokes. 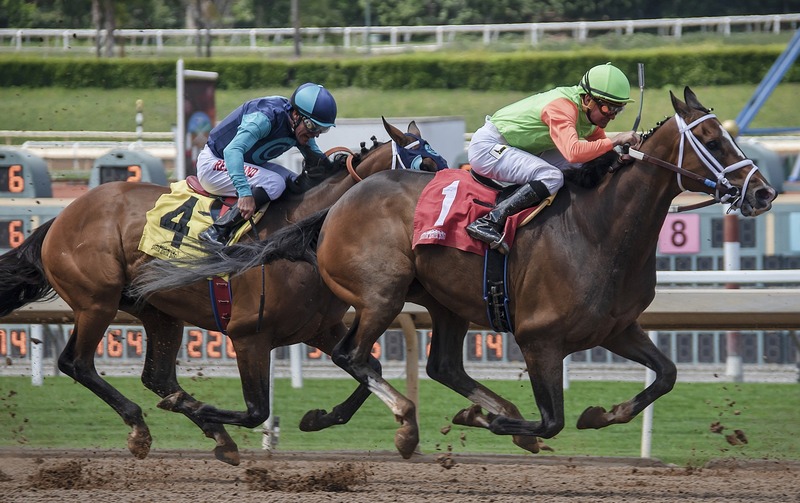 Naturally, you do need to consider how much commission you have to pay, but usually the smart money is on making a larger profit from the exchange which is why we chose Betfair. Of course, you might be thinking why not plump for Matchbook with its 0% commission offer. Our reason is because Betfair has far more customers so their is greater liquidity in its markets so punters have more choice. Remember when using an exchange you need a bettor to ‘lay’ so you can ‘back’ or vice-versa. Therefore liquidity is paramount. Best football betting sites in the UK – F.A.Q. What do I need to register on an online football betting site? a bank account, credit card or e-wallet (PayPal, Neteller, Skrill in your name. This must match the name used to open the bookmaker account. If you decide to choose one of the sites we’ve mentioned, you’ll find links provided above in the table above. They will direct you to the bookmaker’s registration page. All football betting sites with a UKGC licence must adhere to the strict guidelines regarding player protection. These include providing a safe and secure place to make deposits and withdrawals. Yes, you are able to do this. Click on your profile or account settings and locate the ‘set deposit limit’ tab. Then type in what your limit is and over what period. For example: £100 deposit limit every 30 days (1 month).